V FOR VENDETTA And How To Update A Story | Birth.Movies.Death. And change the world by doing so. The first challenge for any artwork is to justify its existence, doubly so for adaptations. If a story has already been told, what purpose is there in retelling it? And if the original work is the product of a world that no longer exists this problem is even worse. Dystopian stories are a great example. They work by exaggerating the current political landscape’s worst aspects to critique and examine them, but as the future never turns out as predicted, future adaptations can easily feel pointless. Take the recent Ghost in the Shell remake. The ’95 film was a seminal work of '80s cyberpunk, a genre built on the decade’s cultural and political anxieties about computers and corporate power. The remake tries to recreate this style in 2017, when society has moved so far on that every cyborg body part and giant neon billboard feels perfunctory. Removed from its place within the wider culture that gave it meaning, it just becomes aimless. But you can successfully update such a story if you transform it into a parable about the modern day. 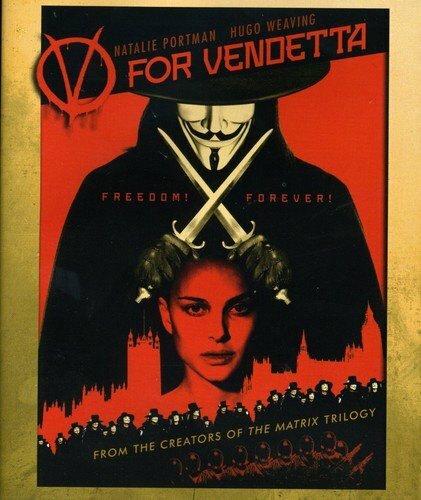 V for Vendetta is an Alan Moore comic written in the 1980s, and adapted for the screen in 2006 by the Wachowski Sisters into a film they produced, wrote and (judging by James McTeigue’s subsequent work) ghost-directed. And both their successes depend upon perfectly capturing the political atmosphere of their times. Moore’s comic is primarily a critique of Thatcher’s Britain. It takes place in the distant, nightmarish future of 1997, when Britain has fallen to the fascist Norsefire regime following a nuclear war. Norsefire was based largely on the Conservative government of the time, which was deploying armoured riot police and wide-scale surveillance against London’s black communities, and considering building concentration camps in which to intern AIDS victims. It also borrows a lot from the National Front, a white supremacist fascist party gaining popularity at the time, from which it takes its initials. The Wachowskis elected to update the story to a critique of the War on Terror years, and so the England of the movie has been transplanted to America body and soul. This is accomplished largely through the addition of iconography and allusions to then-contemporary events. References are made to ‘Homeland Security’, citizens are ‘renditioned’ by the state and Larkhill concentration camp is redressed to look like Abu Ghraib. It’s actually remarkable how little the film’s England resembles reality. The first person we hear is a Bill O’Reilly-esque TV pundit yelling about God with an enthusiasm no Englishman could ever muster for him. The cast all speak in that parodically ‘English’ fashion Americans think we talk in, with every other word as ‘blimey’ or ‘bloke’, and accents range from BBC English to sitcom working class. At one point Steven Fry cooks Evey some sort of breakfast dish he calls ‘eggy in the basket’, a phrase no Englishman has uttered before or since. It’s all as English as Natalie Portman’s accent. Alan Moore took offence to this, complaining the Wachowskis were too timid to set their political satire in their own country, but I feel he misses the point. The fanatical nationalism found in America prevents Americans from being able to root for a hero overthrowing their own state, and so to reach them the film needed to be set in another country remade in America’s image. This is after all a movie, released during the War on Terror years, about a heroic terrorist overthrowing the state by blowing up tall buildings. But the reason for V’s tremendous resonance with audiences lay in its function as an incredibly effective call to action for disaffected Western liberals in the post-Iraq War years. After creating its world as a dystopian exaggeration of the Western liberal worldview of that time, it has its hero take over the airwaves and make a speech directly to its populace, and by proxy the audience. In it, he indicts them for voting for the despotic regime out of a fear of terrorism, but tells them they can expunge their guilt and complicity in its crimes by joining him in rising up against it. The leftist disillusionment with the government is here presented as universal. No-one outside the government approves of anything it does. They openly laugh at its propaganda without fear of reprisal, even when they have no reason to disbelieve it. While this makes for a slightly farcical dictatorship, it’s an effective ego massage for a left-wing audience. The most controversial aspect of the adaptation among fans of the book is its use of a ‘9/11 was an inside job’ metaphor to explain its fascist regime’s rise to power. However, I feel this actually adds to both the film’s encapsulation of the Bush-era left-wing mentality, and enhances the film’s power as a call to action. After all, 9/11 conspiracy theories propagated among the left as a way to explain why the Iraq War protests didn’t work. It’s psychologically far easier to believe your political ideals are universal absolutes, merely restricted from becoming accepted by the machinations of evil forces. And it’s much easier to rile up an audience by presenting them with such a black and white worldview. V in the comic was a morally ambiguous anarchist whose actions could very well have plunged England into perpetual chaos, but the film reimagines him as a pure hero fighting a villain whose comic book surname has here been crossed with Hitler. Like any successful political agitprop, it lets its audience see themselves on the right side of history. The broadness of the film’s appeal lies, ironically, in the vagueness of its politics. It presents itself as left wing but never elaborates on its political views beyond vague statements. V fights for ‘freedom’ in the same way as Braveheart’s William Wallace, and he never gives any idea as to what his post-revolution world will be. The most we get is his statement that “governments should be afraid of their people”. The only specific view it states is its pro-LGBT rights stance, which is not inherently left wing but is commonly associated with Western left wing political causes. This vagueness allows the audience to project their own left-wing opinions onto the movie and see themselves validated by it. 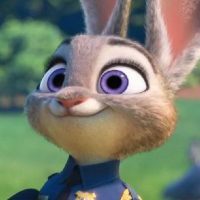 If the film presented specific political views the audience would get distracted quibbling about minor details they disagreed with, instead of engaging with the overall message. But by ignoring specificity disparate groups can all identify with the same story. The film’s ending even explicitly tells the audience that they are all the story’s heroic revolutionary, uniting them as it urges them to go out and chance the world. The Wachowskis’ V for Vendetta is undoubtedly a lesser work than its source material, but that comparison does not lessen the film in any way, as it successfully imbues itself with a reason and purpose to exist. By reworking it into a story of its own time the Wachowskis managed to craft the greatest cinematic propaganda piece of the twenty-first century so far. In an age marked by a disillusionment with idealism and direct political action, V for Vendetta inspired people to take to the streets. And whatever its flaws, how many films can claim to have started political movements? Adam's illustrious critical career began the day he realised Yu-Gi-Oh was tortuously drawn out beyond all reason. He is still somehow amazed by this. When not preaching the gospel of Frozen, Adam enjoys war movies, contemplating the depths of man's evil and synthetic chemistry. The trilogy's final fight is grand both in action and philosophy. Netflix actually cancels a show, and it’s one of their best and weirdest. Its second season is finally here.